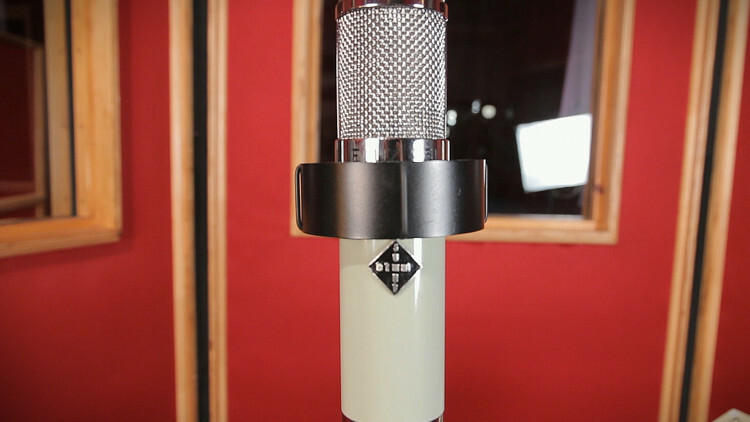 Fab Dupont explores the most important aspect of recording a singer: microphone placement. 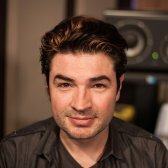 Learn how to take your vocal recordings from average to professional as Fab shows you all of the classic techniques as well as often overlooked details and tricks. What should the distance be between the singer and the microphone? What are the pros and cons of recording right up on the mic? Is there an efficient way to get rid of pops and other disturbing vocal noises? How truly amazing is Chester Gregory? All of these questions and more will be thoroughly answered in this video. Watch as Fab and Chester experiment with various mic placements, singer placements, microphone angles, and so forth. If you ever have to record a human being singing into a microphone, this video is for you. For more music by Chester Gregory, please check out his website, follow him on Twitter and like him on Facebook. Good morning children! Today, we're going to talk about microphone placement for singers, with the great help of Mr. Chester Gregory. Microphone placement is only one variable in the whole system. But it deserves a lot of attention, so this video is gonna focus on just that. We'll do other videos for the other elements. basically, hang out with the talent. So that when you tell him that he has to do it again, and again, and again, he'll feel that he's your friend, and won't be mad at you. Right? - Absolutely. - Right. I just heard that Chester's voice is perfectly warmed up, so I propose we go to the Live Room and start singing. - After you, your Majesty. - Alright. Let me describe the setup. First, the microphone. It's a Bock Audio 251, which is a knockoff of an ELA M 251, which is an old microphone. The new one has the advantage of not breaking as much, which is great. Also, we use this, because I worked with Chester before, and we know this sounds great on him. We're also using the Universal Audio 2108 Preamp, which is the one we use for most Puremix sessions, so that you have the ability to compare from microphone to microphone, with the same preamp, which is nice. Something else I wanna mention is the gobos. They're here for two reasons: to cut reflections in a big room, of course, but also to create some coziness for Chester, the singer. shy about singing in a big room, in a small microphone. If you bring some gobos in, it creates kind of an intimacy kind of vibe, and that actually helps quite a bit. So we always put the gobos in a triangle way like this, and we see how it goes. Sometimes, we move them closer, sometimes we open them a little bit, but usually, this is about how they are. Then, there is the Cue system. The Cue system here, we always put it within range, arms reach of the singer, so that the singer can turn himself usually up, rarely down, without having to look at it, and always while singing. So maybe you'll see Chester go like this while he's singing. He's actually adjusting, so that he can feel comfortable with the Cue. The Cue is the most important thing. As important, or more important than the microphone, actually. And then, the music stand. Don't underestimate the power of the music stand. If the singer is gonna read lyrics, where you place the music stand is gonna change the sound of the voice, because the singer is always gonna be drawn to look at it, and his head is gonna turn. It's gonna change the way the mic picks it up. So in this particular case, it's way too low, so I'm gonna bring it up. I'm gonna have to adjust this up a little bit. We're gonna start here, because I see a lot of this happening, very close, it's an appealing sound. I'm gonna move the Cue system a little closer, so that Chester can reach it without turning his head, which is probably gonna help us avoid ruining tracks. make sure that this works for me. Because Chester is gonna have a tendency to read the lyrics, and so, he's gonna look this way. his position towards the microphone is becoming predictable, it's being enforced by the music stand. Very nice. Alright, this is cool, are you comfortable with this? Ok.
Alright. So, what we're gonna do now is record this, see how it sounds, and move on from there. - You're ready? - Yes. - Here we go. - Alright. and that dynamic stuff, and the peaks, and everything. That's from being too close. Now, if you think that I'm exaggerating, don't think I'm exaggerating. I get a lot of tracks from a lot of people, for me to mix their record, and that's what I hear on the vocal. Maybe not as much as this, but quite a bit. And it's basically impossible to mix. Why do people do this? Because that proximity effect is really addictive. It's nice to have all that roundness and intimacy, and it's really difficult to have both the roundness and intimacy and be able to avoid all that... thing. What we're gonna do now is ask Chester to move back 4 inches... ish. Yeah. That's close enough for jazz. This is gonna create more of an air gap between him and the microphone. We have the natural air compression, because air is a great compressor. Let's see how much of the proximity we lose, and how much we gain on the "Crrr Crrr" thing. Here we go! - We're rolling. - Ok! That was much better. A lot more Chester, less interference, less noises, less distraction from the song, really. We did lose a little bit of the proximity effect, that bottom, warm and fuzzy thing there, but I can fix that with an EQ. I'm willing to compromise and exchange for not having to de-ess so much. I do hear still a problem with the P's and the B's. Some of the air coming out of Chester's mouth still overwhelms the microphone, even that far away. For that problem, we have this solution: the pop filter. The pop filter is gonna serve two purposes. Number 1, get rid of pop, which makes sense, considering the name pop filter, and number two, make sure that the singer has a consistent position. You're not gonna expect your singer to be there all day long and remember exactly where he was. He's gonna have to go to the bathroom, eat, he's gonna have to go tweet, it's a complicated life. In this particular case, you have the pop filter. He can come back and be very close to the pop filter. Now you have a consistent thing. He doesn't have to guess how far he was from the microphone. This is very crucial. If you're gonna edit text together, do a lot of text, and comp them together, you need a pop filter, even if your singer doesn't have a P & B problem. Let's listen to Chester exactly in the same position as we heard him before, but just with a pop filter in the middle. - Ok, let's see how this one sounds. - Alright. The pop filter did his job. No more P's, no more B's, it's a very good recording, it's clean, it's present, it's intimate, it's open, it's not too sharp. I like it, I wish a lot of recordings I get for mixing would sound like this. As a summary, if you get very close, you get a lot of proximity effect, it sounds fun, but you get a lot of artefacts. If you move back, you lose a little bit of the proximity effect, which is ok, but there's still that sense of loss. However, in exchange for the loss, you get a cleaner top-end, not as many S's, P's, T's, and stuff like that. If you still have the T's, you put the pop filter and now things get better, but you lose a little bit of the air. So what I'd like to do now is to try and find a position where we get everything: proximity effect, not too many artefacts, presence and air. Here's an interesting trick that a lot of people don't think about. To make your life easier when you're positioning the microphone, take the pop filter off that stand and put it on a different stand, its own stand. Make sure you don't hit your singer in the face with it while you do it. once you have this, you can recreate this static position right here, but then you can move whatever you want here, and it won't change this. So your reference to the singer is fixed, and you can do all the tricks you want with the microphone. This is very practical, it saves a lot of time, and a lot of grief, and some swearing at the pop filter. What I'm gonna do now is move the microphone a lot closer to Chester. I'm gonna offset it over there, in this case to the left. Why am I doing that? Because I don't want Chester to sing straight into the capsule, I want him to sing next to the capsule, so that the blow of air doesn't freak the capsule out. The other thing I'm gonna do is I'm gonna angle the capsule this way to face towards his mouth more. To do that, I'm just gonna turn the microphone and the stand towards Chester's mouth, even though the microphone is offset to his left. Lastly, the music stand is gonna help us again. How? By making sure that Chester looks this way, and is looking at the music, not looking at the microphone. Also, the pop filter kind of blurs the line between the microphone, and the pop filter are now one entity. So Chester won't be tempted to sing into the mic, no matter where it is. Some singers will actually follow the microphone wherever you put it. You could put it over there, they'll sing over there. The pop filter makes sure that they don't really know where the mic is, unconsciously, and you still get your reference. So... You can actually get a little closer. And I'm probably gonna cheat a little more. - Ready? - Ready! - Here we go. - Alright. That was great, thank you! This is my favorite take so far, because the high end is the same, but I have the proximity effect, and I don't have the artefacts. You have to be careful with the S's in this position though, because even with the pop filter, and even with the angle on the capsule, you have more S's, it's a fact of life, there's no real way around it. You have to be very careful to be happy with the high end of your vocal, because if you're gonna jack it up at mixing, you're gonna jack up the S's too. There's a compromise to be had there. Maybe you move the microphone a little further away, a tiny bit, maybe you move it to the right a little bit, maybe you just deal with it and de-ess the vocal. But you have a good source. I think this was a great song for Chester. What I'd like to do now is go back to the Puremix Control Room, and compare the different sounds. Back in the Control Room, we're gonna listen to what we just did, and compare. I'm gonna play the music very quietly, just as a reference, so we can focus on what's going on with the vocal. The first example, although it's a bit of a caricature, is actually kind of representative of some of the tracks I get. It's not a bad example, it's not distorting, and the tone's pretty good. It's just bad mic placement. Let's check it out! Listen to the ... like on the word "Sound" for example. I'm gonna play a couple of phrases, then I'll play you some of the B's and the T's. That's not distortion, that's just the capsule freaking out. let's move the microphone back a little bit and see what it does. The capsule problems are gone, right? Except for something like this, check it out. Hear the word "Words?" I'll play it again. Listen to the bottom of the vocal. The capsule's freaking out on the... things. The vocal doubles as a bass drum! Not what we're looking for. Let's listen to the same thing with the pop filter. Now, we have a different problem. So now we have something very warm, maybe a little too warm, but we have the problems with the first position, and then we have no problems on the second position with the pop filter but it's a little distant, it doesn't feel so good, hence the third position! Let's check the pops. No problem! The third position gives us a really nice compromise between no pops, no artefacts, warmth. If you compare again that very first take that we liked the tone of, but there were problems with it, now it feels a little too thick, check it out. This is the last take. If I were to use this first take in a mix, which happens from time to time, for real, I would have to carve it out for it to sit in the mix, because it is actually too thick. The last take is kind of perfect. And we like perfection. Side note: the pop filter does eat a little bit at your high end. Now it's a little bit. Check this out, when he says: "When you're lost in the sound", listen to the tone of "in", and the presence and the forwardness of it. I'm gonna play with the pop filter first. Check it out. Hear that... thing? I'll play it again. With. There's a little shine up there, when you don't have the pop filter. It's nice. You can add that with a little bit of EQ. Honestly, it's a lot easier to add 2-3dBs at 10k with a smooth Pultec-style thing, than try and get rid of the pops one by one. So use a pop filter if your singer has pops. As a summary, and to keep it simple, as a reminder, this is about mic placement, and just the placement, consider three things. Distance between the singer and the microphone, which is dictated by your taste and tone, and also maybe the style of the music you're recording. Use of the pop filter. Angle of the microphone to help yourself with the S's, the T's and the P's. amount of red wine needed for the singer to actually perform, positioning in the room... we'll have to shoot other videos. Awesome Just awesome! Headphone bleed even disappeared. I saw that this video was 17min long and thought "Oh boy, here we go" but it actually flew away very quickly... The video is engaging, well-presented and easy to follow! That's great thank's a lot ! Bloody great! I would like to know if there are audible differences between different brands of pop-filters, heard some great things about this Håkan P110 pop filter. Maybe a shoot-out would be interesting? Awesome tips in this video. I use a pop filter and an acoustic frame around the mic, but i never thought about using a separate mic stand for easier positioning of the mic. Hearing your example i can see how that works well to get good volume without the noise artifacts. I will definitely try this in my next vocal session. Thank you Fab! Thanks for another great tutorial, never thought of positioning the mic in an angle. And maybe in the future we can use a Google Glass instead of a music stand? I always have trouble positioning the pop filter and the stand, so the singer can still read the lines and not make something up. Hey. Many Russian-speaking, watching your lessons and listen to your conference. It would be very good if you are in their video lessons organized titles, transfer your videos to the world's languages​​. I am sure that the activity of real subscriptions to your website will increase. Always yours Soini. Привет. Многие, русскоязычные, смотрят ваши уроки и слушают ваши конференции. Было бы очень хорошо если бы вы в в своих видео уроках организовали титры, перевод ваших видео на языки мира. Я уверен что активность реальных подписок, на ваш сайт, повысится. Всегда твой Soini. Well done Fab! I like the angle trick, gonna have to try that. I learnt something new. THNKU again. fantastic video FAB…thanks so much for sharing! Hello, great video. When available is it recommended to use the low cut filter on the microphone? I love your work fab, great video! hi from France! Nice. Been waiting for a vid like this one. Perfection !